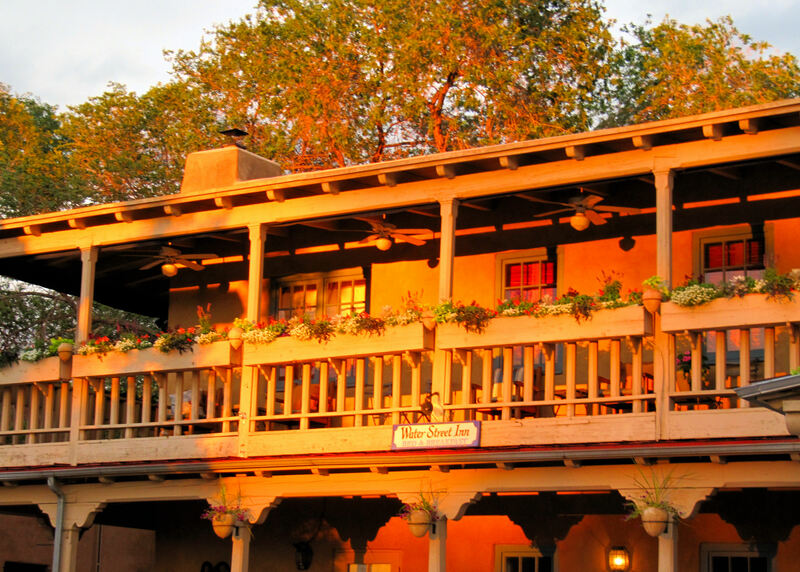 With dozens of trips to Santa fe, staying in a large variety of lodgings from chain motels to luxury hotel and private casita, without question I have a favorite. Under the new ownership the former Water Street Inn is now the Inn at Vanessie. Within easy walking distance of the Plaza, the 11 room bed and breakfast inn offers guests a calm respite from traffic, crowds, shopping and museums. Each room has its own personality, features and decor. 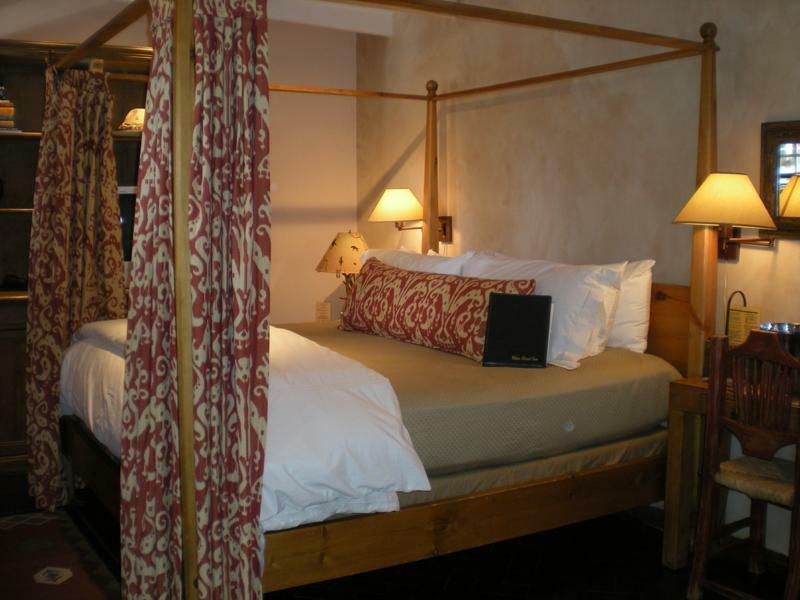 After staying in more than have of the rooms my first choice is always #4, a spacious first floor room with four-poster bed, kiva fireplace, sleeping blanco, chaise lounge and leather chairs – lots of places to curl up with a good book and/or a glass of wine. Creature comforts are always attended to with thoughtful service and amenities. Next door is Vanessie of Santa Fe a long-time outstanding piano bar and dining room. I try to time my stays to hear Doug Montgomery, Santa Fe’s legendary piano man. A great reason to plan a New Mexico visit.